For the longest while this verse has been playing in my head. It pops up at unusual moments like when I’m scrolling through my feed on social media or when I’m idly thinking of what to do. Taken at face value, it’s a powerful message but I’m not really a face value kinda girl. After weeks of ignoring the urge to dig in, I finally grabbed my Bible, concordance and notebook (oh and my cellphone cause it’s so much easier checking the online dictionary than a real one smile). A proverb by definition is a statement that reflects a general truth or piece of advice. This particular proverb made it into the collection of King Solomon, the wisest man who ever lived. No, but it’s a very good piece of advice. The people of that time knew that you had to be careful about the things that you let influence you. They were fully aware that those influences would eventually flow out of a person. KeepH5341 thy heartH3820 with all diligenceH4929; for out of it are the issuesH8444 of lifeH2416. Keep: nâtsar a primitive root meaning to guard, in a good sense (to protect, maintain, obey, etc.) or a bad one (to conceal, etc. ), keep(-er, -ing), monument, observe, preserve(-r), subtil, watcher(-man). Heart: lêb which means the heart; also used (figuratively) very widely for the feelings, the will and even the intellect; likewise for the center of anything, mind(-ed), understanding, wisdom. Diligence: mishmâr meaning a guard (the man, the post or the prison); a deposit (figuratively); diligence, guard, office, prison, ward, watch. Issues: tôwtsâʼâh or tôtsâʼâh which means (only in plural collective) exit, i.e. (geographical) boundary, or (figuratively) deliverance, (actively) source, going(-s) forth (out), issues, outgoings. Life: chay meaning alive; hence, raw (flesh); fresh (plant, water, year), strong; also (as noun, especially in the feminine singular and masculine plural) life (or living thing), whether literally or figuratively:— age, alive, appetite, (wild) beast, company, congregation, life(-time), live(-ly), living (creature, thing). We live in a world where we are constantly bombarded by images, sounds and smells. So much so that it has been reported that the average human now has an attention span of 8 seconds (that’s less than a goldfish). The level of stimuli that our poor brains are subject to is insane. And that’s why it’s more important than ever for us to be careful what we let into our heads. Paul encouraged the believers in Rome to be transformed by the renewing of their minds (Romans 12:2) because even then it was evident that a lot of the battle that Satan wages against God’s people take place in our heads. Why Do I Need to Guard My Heart? We’ve all heard it the verse: “A good person produces good things from the treasury of a good heart, and an evil person produces evil things from the treasury of an evil heart. What you say flows from what is in your heart” (Luke 6:45 NLT). If the heart represents the center of my existence and everything (all my problems, solutions resolutions, happiness) come out of it, then I need to fill my center with good things. If I stuff a candy bar with bitter lemon, I can’t expect sweet caramel to flow from it. We guard our hearts because we want to reflect the character and goodness of God. 1. Watch what you say. Avoid using perverse, crooked speech. Avoid vain (idle) words, or language that reveals a heart set on obedience. Don’t defiantly speak against what is right. Remember, what the heart is full of is what will flow out of the heart. 2. Focus on what is before you. That means you don’t seek out trouble. Even better, it means that we focus on Jesus who is our example (Hebrews 12:2). 3. Think about where your feet are going. It’s one thing to be going straight ahead, it’s quite another to be going straight ahead in the wrong direction! 4. Stay away from evil. Don’t stray from the path that leads to Christ. If you find yourself going down the wrong path, stop. Turn back. Find the path that leads to Jesus and go that way. As believers, we are urged to diligence. We must guard our thoughts because they influence our desires. We must guard our desires, because they affect our appetite. The things we crave, we work hard for and if we crave the wrong things, it will eventually be reflected in our lives. How do you guard your heart? Share it with us in the comments. Get this free printable and access to the resource library when you subscribe. 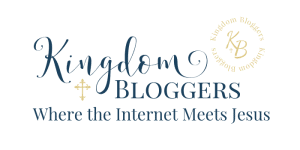 Linking up at #BVNetwork, #DanceWithJesus, #Let’sHaveCoffee, #Grace&Truth, #TuneInThursday.